Unique polaroid portrait of fellow atist Keith Haring. 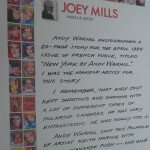 "New York by Andy Warhol". I was the make-up artist for this story. He was very enthusiastic. He was really into it. 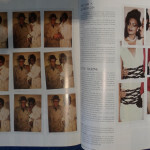 Andy Warhol shot this polaroid of artist keith Haring with model Wanakee Pugh - and gave i to me at the shott". 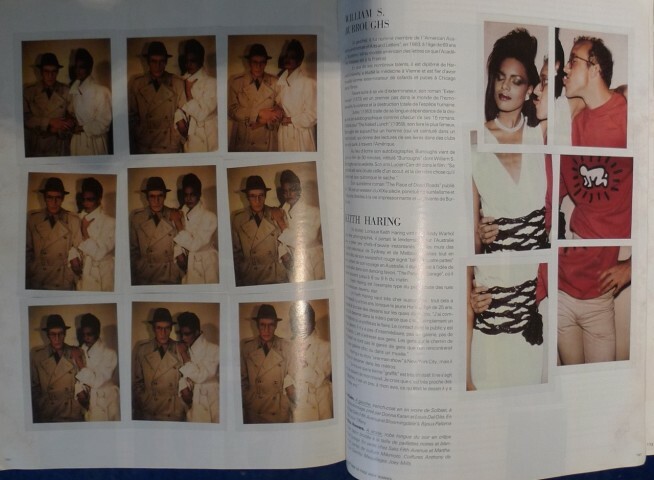 The actual photo shooting for French Vogue is mentioned on more accasions in "The Andy Warhol Diaries" edited by Pat Hackett. Another impression from the same photo shoot but with a weak image was up for auction at Christies online in 2013 with a 15.000 USD estimate. This one is much better.